This book is based on the author’s conversations with Sadhguru, as well as on archival material from the Isha Yoga Centre in Coimbatore. 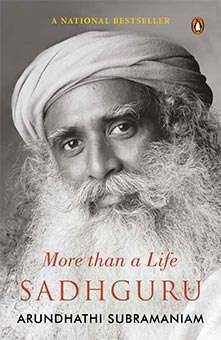 Sadhguru’s life story is a remarkable one, from his childhood snake-catching days to his motorcycle-riding youth. At the age of 25, sitting on Chamundi Hill in Mysore, the inner experience of enlightenment changes his life, opening up memories of many lifetimes and revealing his life’s mission. The story unfolds into realms of greater adventure and mysticism with the first wholeness program, the consecration of the Dhyanalinga and the birth of Isha.